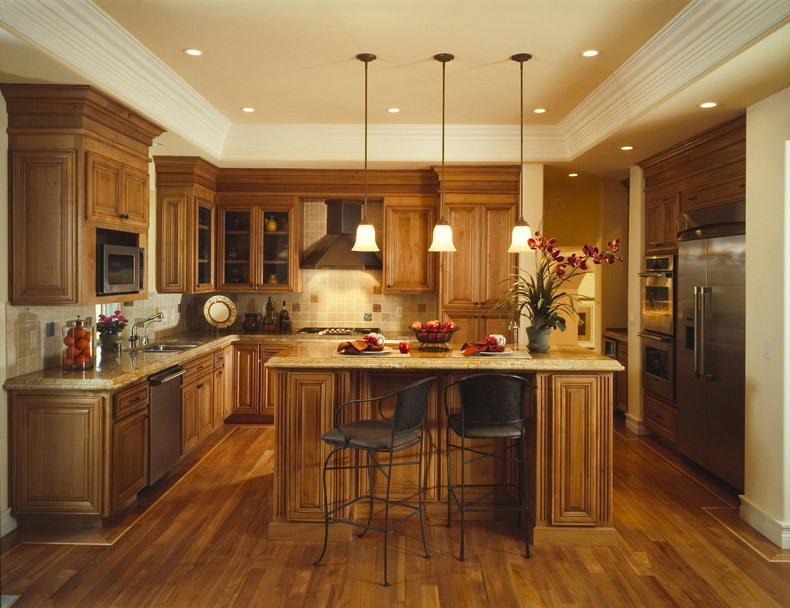 Designing and pricing your dream kitchen is part and parcel of what we do best! 1. The kitchen area. The emerging trend is the decentralization of the traditional kitchen consisting of a range, refrigerator and sink into different zones based on the work functions. Today's hottest kitchens are those that are organized according to key themes such as cooking zone, clean-up zone, coffee center etc. 2. Heart of activity. 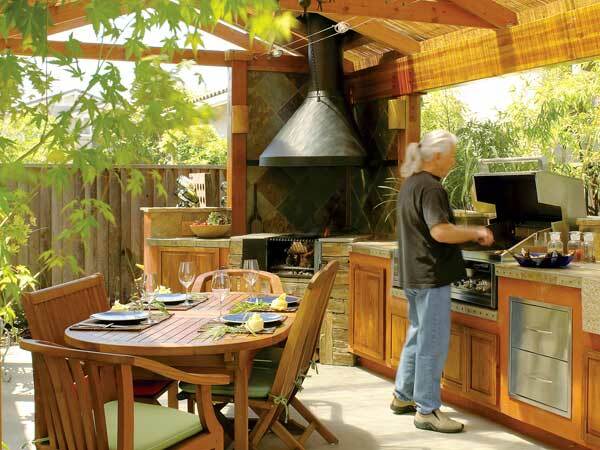 The kitchen is not only a cooking zone but a major center of activity. Consequently, the trend in modern kitchens is towards bigger spaces equipped with amenities such as fireplaces, flat-screen TVs and seating. 3. Mix-and-match products. Kitchens are opting for chic designs of the mix and match kind with home owners incorporating products from different manufacturers for more variety and aesthetic appeal. 4. Maintenance friendly. The trend is towards products that are easier to maintain. For instance, preference is for materials such as manmade quartz that is not only available in varied colors but is also a more inexpensive option compared to granite. 5. Hidden storage. 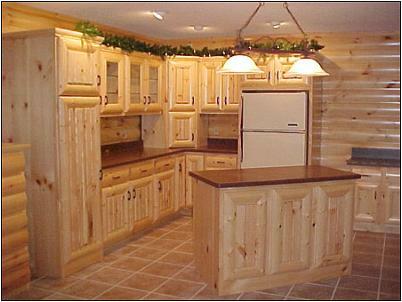 Storage spaces are being shifted to the lower levels in the kitchen with fewer upper cabinets than before. This not only lets in more light but also makes the kitchen space look larger. 6. Professional kitchen equipment. 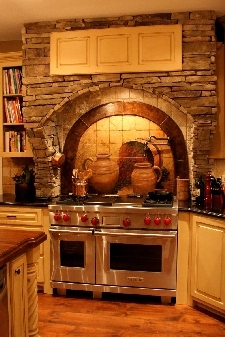 Buyers prefer professional ranges, ovens and refrigerators. Other equipment such as steamers, induction cook tops, high-speed ovens etc. are on their much favored list. 7. Products for small homes. With the trend towards home downsizing, manufacturers of kitchen products are designing smaller appliances to suit small homes such as 24-inch ranges. 8. Innovations in lighting. There are new introductions in the kitchen's lighting system too. Some of the innovations include new designs that balance different types of lighting with bulbs on dimmers for flexibility. 9. Towards greener products. This year too the trend towards earth-friendly products for kitchens is strong. Green products such as bamboo and wheatboard floors, countertops, VOC paints and energy star-rated appliances are big favorites. 10. Universal design. The trend has shifted to non-institutional looking designs for greater functionality such as levers instead of harder-to-turn knobs, lower counters and wider aisles for wheelchairs, etc. 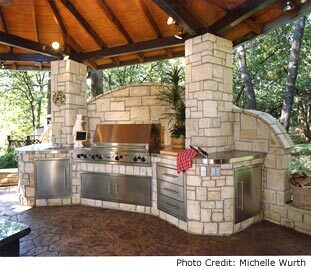 Very popular - outdoor kitchens.